2. Is FHA Mortgage Insurance Tax Deductible? 3. What Does FHA Mortgage Insurance Cover? Buying a home can be a complicated process, particularly if you don’t have tens of thousands of dollars set aside for a down payment. For many consumers, an FHA loan provides an appealing option, mostly because you can get away with a relatively low down payment. But even if you qualify for the minimum 3.5 percent down payment, it’s still thousands of dollars. Wrapping that into your mortgage would be a handy solution, but you won’t be allowed to do it under FHA guidelines. You cannot include your down payment in an FHA loan, but there may be assistance available if you can’t afford it. You may consider down-payment assistance programs or zero-down-payment loan alternatives. The biggest benefit of an FHA loan is that it does offer a low down payment for borrowers with strong credit scores. Those with a score of 580 or greater are eligible to apply for financing on 96.5 percent of the purchase amount, leaving you to cough up only 3.5 percent. However, 3.5 percent of $200,000 is $7,000, and even that will be tough for someone who’s cash-strapped. Getting a 100 percent loan is not possible with an FHA loan. They’re known for their low down payments, but they can’t provide 100 percent financing, even though they’re backed by the federal government. However, there are options if you don’t have the extra money for a down payment, including down-payment assistance and zero-down-payment loan options. An FHA mortgage is one that is guaranteed by the U.S. Federal Housing Administration. If, for some reason, you default on your loan, the lender can recoup the money from the federal government. The program is designed to strengthen the housing market by ensuring more people are homeowners rather than renters. This government backing means lenders can take a chance on a borrower who might not have the credit score or 20 percent down payment they’d need for a conventional mortgage. FHA loan requirements are slightly more lenient, which means even if you have a few dings on your credit rating, you may be able to qualify. Before you start shopping around, it’s important to make sure you qualify for an FHA loan. You’ll need a minimum credit score of 500, which will require you to have a 10 percent down payment. If your credit score is 580 or greater, you’ll need a 3.5 percent down payment. You’ll also need a 43 percent maximum debt-to-income ratio and two years of employment history. Once you’ve found a home and put an offer in, you’ll be required to have the home appraised by an appraiser approved by the FHA. You’ll need to have mortgage insurance on the loan and occupy the home as your primary residence. Aside from the FHA approval on the inspection, though, you’ll likely find many of these requirements are the same with any mortgage loan. Once you’ve determined that you meet the basic requirements, there are some options that can help you collect the money you need. It’s important to note that the FHA will trace the source of your down payment, so you’ll have to provide documentation on request. But you can accept the down payment as a gift from someone else or take it from a retirement fund like a 401(k). Unless you’re pulling your FHA loan down payment from your own savings, it’s important to understand the tax repercussions of the source you’re using. In addition to the taxes you’ll pay if you use a retirement account, there’s also a gift tax. If your parents give you the money, you’ll have to pay taxes unless it meets the IRS’s exemption. Under the new tax laws, each of your parents can give you up to $15,000 per year without tax consequences. If you need help with your FHA loan down payment, the FHA isn’t your only resource. In many states, there are programs specifically designed to help qualifying homebuyers. In Florida, for instance, there are several local programs, as well as a statewide one called the State Housing Initiatives Partnership Program. You’ll get assistance with up to 10 percent of the purchase price as a zero-interest loan. With many of these down-payment assistance programs, you’ll need to be a first-time homebuyer and fall below a maximum debt-to-income ratio. Since they’re local, you’ll likely also need to have been a resident of the area for a specific timeframe, and you may be required to provide a small financial contribution of your own. Closing costs are not the same as a down payment. The down payment goes toward the purchase of the house, while closing costs cover the fees charged by lenders, brokers and loan originators. On an FHA loan, you can expect to pay between 2 and 5 percent in closing costs in addition to the down payment you’re asked to bring. The good news is that you have options when it comes to closing costs. These fees are negotiable, so if you shop around when searching for a lender, you may be able to get them reduced. You can also ask that the seller pay closing costs as part of your offer on the house. If you’re in a buyer’s market or the seller is eager to sell, there’s a very real likelihood the seller will agree. Although FHA loans don’t have zero-down-payment options, there are some alternatives that do. If you’re willing to buy in a rural area, check to see if a U.S. Department of Agriculture loan applies. There’s a map of cities that are eligible and quite a few of the cities are located not too far away from metropolitan areas. If you’re a veteran, a Department of Veterans Affairs loan will pay 100 percent of your purchase price, and you’ll also avoid the mortgage insurance requirement. You will, however, be required to pay a 2.15 percent one-time funding fee to participate, but you can finance it into the loan. Members of the Navy Federal Credit Union can also access no-down-payment, no-insurance-required loans if they’re first-time homebuyers. Once you’ve seen the FHA down payment requirements, you may wonder what the benefits of FHA loans are versus conventional loans. The biggest difference is accessibility. With conventional loans, you’ll often be shut out unless your credit score is 620 or greater. FHA is much more forgiving, typically allowing it to drop as low as 580. Although FHA loans generally have lower down payments, there are instances where you can find conventional loans with down payments that are lower than the typical 5 to 20 percent. It’s rare, though, and much more likely you’ll find a 3.5 percent FHA loan than a 3.5 percent conventional one. One benefit of conventional, though, is that you can get away from mortgage insurance once your loan-to-value ratio hits 80 percent. With an FHA loan, you’ll usually pay insurance premiums throughout the life of the loan. Although there are various ways to satisfy the FHA down payment requirements, drawing the money from your own savings account is usually the easiest. Setting money aside for a down payment can be challenging if you’re already struggling to pay your bills. There are small things you can do on a daily basis to make it easier, though. The first step in any savings plan is to set a goal. Determine how much you’ll need for a house in your target range and pinpoint how much you’ll need to save each month to make it happen. Look for small things you can cut in your budget that will add up over time, even if it’s taking your lunch to work or dropping cable TV. A side hustle can get you even further toward that goal, whether it’s dog-walking, tutoring or driving for a ride-sharing service. Although down payments are an important part of FHA loan requirements, there are other factors that will influence your eligibility. Your credit score is a huge part of it, even playing an important role in the amount you’ll need to put down. Make sure you know your credit score in advance and do whatever you can to improve it, including contesting inaccurate entries and keeping low balances on all your credit cards. Lenders will also look at factors like your employment history and your record of paying your bills on time. If you’re renting, make sure you pay on time each month and try to stay at the same job in the years leading up to buying a home. If you have any judgments against you, now is also the time to get those settled. Although FHA loans were designed for low- to moderate-income homebuyers, anyone can apply for one. However, there are limits to just what you can borrow. If you’re looking for a million-dollar home, you’ll likely run into trouble when applying for an FHA loan. Since the cost of living can vary dramatically from one area of the U.S. to another, your FHA loan limits depend on where you live. In addition to the FHA loan down payment requirements, you’ll also find that if you’re buying a single-family home, you may not be able to buy one for much more than $300,000 in Minnesota or $700,000 in Hawaii. Those rates go higher if you’re buying a duplex, triplex or fourplex home. Once you’ve checked your credit score and figured out how you’ll handle your down payment, it’s time to head to the bank. An FHA loan is like a conventional loan in that you’ll go through a lender to procure it. Different lenders have different rates, fees and down payment requirements, so it’s important to shop around before completing an application. Once you’re ready to start home shopping, visit a lender and ask for preapproval. Having this in hand will make it easier since you’ll know the maximum amount you can borrow before you put an offer on a house. You’ll need information on previous employers and residences, as well as a couple of years of tax forms to prove your income. One of the best features of an FHA loan is that it’s assumable. Only FHA, USDA and VA loans are assumable. When a loan is assumable, it simply means that instead of selling your home to someone who takes out a loan of his own, the buyer can take over your existing mortgage, agreeing to pay the same monthly payments and interest rate you’re currently paying. Although it’s possible to assume an FHA loan, it’s important to be aware of the risks. If you’re assuming someone’s loan, keep in mind that you could get a better rate on your own. If you’re the seller, though, you could find that you’re responsible for the loan if the buyer stops making the payment. Even if you’re OK with that, you’ll find that the lender still has to approve the transfer. 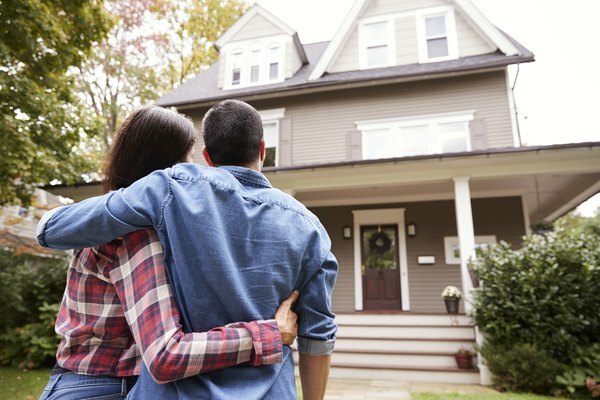 Money Under 30: FHA Mortgage Loans: A Good Idea For First-Time Buyers?